The foundation of all online gambling is for a gambler to have a large bankroll, and this is done by having the player deposit in an account with the casino. The usual way is to have it done through either a credit card or a bank transfer. But Bitcoin payment processing is a lot different. Online casinos and other gaming venues that accept Bitcoin often turn to this cryptocurrency because of its low overhead and the fact that it is not as regulated as fiat currencies. The lack of regulation is a boon for smaller gambling sites that would find paying expensive gambling licenses backbreaking. 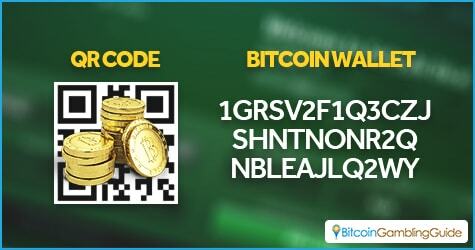 An excellent example of a gaming site taking advantage of this is Satoshi Dice. All of Satoshi Dice’s transactions are done in the way that most person-to-person Bitcoin transactions go: a QR code representing the address of a wallet or the address itself is given to a depositor to send the money to. Once received, the payer will choose how much money to deposit in the account. This approach is good enough for small websites or at least those that have one to two games only. However, for online casinos that have to meet gaming regulations and service a magnitude more in customers, other solutions are needed. For larger casinos and betting institutions, direct payments are still a possible choice. BetCRIS, a Costa Rica-based sports betting site, chooses to accept direct deposits when it comes to accepting bitcoins. This is great for the many bettors who make their wagers via BetCRIS. First, this lets people bet quickly as most Bitcoin transactions are promptly processed. Second, this allows people without credit cards a chance to add funds to their bankroll. Finally, BetCRIS has made it policy to give Diamond Loyalty status, with full perks, to those who deposit via Bitcoin. BetCRIS would normally have a hard time processing payments on their own, especially with bets coming in from the world over. Fortunately, they have the help of Bitstamp, a trusted Bitcoin exchange, to help them handle the load. Despite the direct payments making things a lot easy for a casino, such are not always preferred. This is because of the volatility of Bitcoin. It can fluctuate in price, which can affect the revenue stream of a casino. This is why some online gambling sites choose to work with third-party processors that convert bitcoins directly into cash when funds are deposited into an account. An excellent example of this is the relationship between LimoPlay and Cubits. LimoPlay members who want to top up using Bitcoin will have their payment sourced through Cubits, and the amount is converted into cash and directly deposited into LimoPlay’s accounts. This is a complete win-win situation. 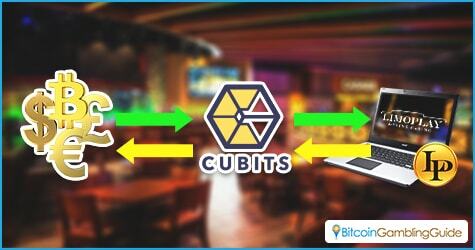 Bettors will be able to proceed with payments in a quick and secure manner, Cubits will take a small fee for the transaction, and LimoPlay would have no worries in processing payments or fluctuating Bitcoin prices. With the collaboration of Cubits and SoftSwiss, all casinos licensed under the leading Bitcoin casino software provider from Austria benefit from Cubits’ services and therefore deliver satisfactory payment processes to the Bitcoin gambling community. Different situations clearly require different Bitcoin payment processing solutions. This is the reason casinos, poker rooms, sportsbooks, and other Bitcoin gambling sites should carefully examine which solutions will work best for their model. After all, knowing how a casino processes payments can help gamblers decide which online gambling site to patronize.